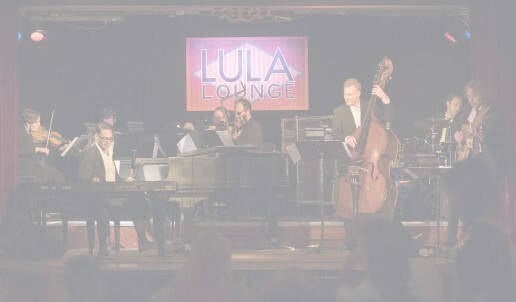 RON DAVIS TRIO features jazz masters RON DAVIS (piano), MIKE DOWNES (bass), and ETHAN ARDELLI (drums), entertaining in the up-close-and-personal ambience of the Home Smith Bar. will continue its highly acclaimed intercontinental musical journey at Toronto’s historical Jazz Bistro beginning on January 17, 2016. As part of the Bistro’s cabaret series, Nardi will continue through to April 16, presenting intimate and ever-changing sets celebrating Voice, Song & Music. The listener will experience songs by some of Italy’s greatest legendary as well as, contemporary jazz and pop composers. The songbook includes material from Nardi’s most recent recording “CANTO” as well as, from the internationally acclaimed recording “The Songs of Paolo Conte”. Nardi’s Espresso Manifesto is not only a musical experience but a cultural one, with music lovers and critics alike using such buzz words as universal, exotic, vibrant, sensuous in order to describe this truly unique artist & her ensemble. Come hear why critics and music lovers from Montreal to Moscow are embracing Daniela Nardi and her Espresso Manifesto. Blue Modules puts a refreshing jazzy spin on a truly eclectic collection of songs from the pop and rock genres. Check this out for a diverse grouping of artists covered: The Beatles, Jimi Hendrix, Elvis and Sesame Street. Davis contributes some fine originals too, including ‘Pawpwalk’ The brilliant XTC hit ‘Making Plans For Nigel’ is given a delightful twist here. ‘Highly recommended’. Known as one of Canada’s most fluent jazz pianist/composers, Ron Davis steps outside the box with this eclectic and very entertaining new album. He and his ace band of A-list locals put a refreshing spin on tunes from the diverse likes of Hendrix, Elvis, the Beatles and Sesame Street (“Mahna Mahna”). Yours truly especially loves the offbeat yet tuneful take on XTC classic “Making Plans For Nigel”, while the funky original “Pawpwalk” is another highlight. Blue Modules is a jazzy and funky sonic ride ‘a soulful vibe propelled by Davis’ soaring piano solo’ ‘entertaining, thought-provoking Jazz’ ‘Ron Davis and his group showed the audience that with Jazz, there are no boundaries as to where music can goal’ ‘a great night with a great band’. Blue Modules belongs on the Jazzfm91 First Listen list! Your first listen for this week belongs to pianist, composer Ron Davis and his brand new album Blue Modules. Its fun. Its possesses an energy, its innovative. Davis puts some life into some unique already well established songs and adds an original or two to make it even more personal. This is Davis’s 8th recording and he will bring it to Chalkers Jazz Club for three Sundays starting next January the 20th. Our specific choice is his version of XTC’S Making Plans for Nigel. Any one who is a fan of XTC is a friend of ours. Blue Modules, the eighth album by pianist-composer Ron Davis is, in the words of Ornette Coleman, Something Else!!!! For the past 10 years, Davis has been recording a blend of styles. At the keyboard, Davis is a known stride player, in the tradition of James P. Johnson, Fats Waller and Art Tatum. In his recordings, he used to like running that strictly jazz vibe through arrangements of classical pieces (‘Vaughn Williams’ ‘Rhosymedre’), or classic standards like Hoagy Charmichael’s ‘The Nearness of You’ (slowed down to come across like Chopin), or Chronos Quartet-ish classical Klezmer jazz sounds ramped up-tempo and coming out like Aaron Copland’s Appalachian Spring. The blend always included a generous sprinkling of Davis’ original, high-textured compositions. What held these albums together was the free and unfettered spirit of Davis-the-jazz improviser having every kind of fun but always keeping track. Will you like Blue Modules? I played it in the car for the lead guitar-player of Caution Jam, one of Canada’s better jam-bands, and he really liked it. So I tested it on my system during three successive dinner parties, and everybody liked it. What else can I say? I keep it in the changer of my car system in a batch that currently includes the Preludes of Nicholas Kapustin, Duke Ellington and Johnny Hodges Play the Blues, and Klezmer Karma by Roby Lakatos, just in case I want a dose of the latest Ron Davis. A fine fine musical trek. I like Blue Modules very much.